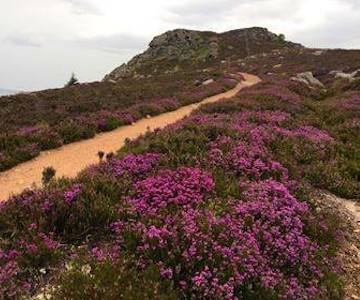 The Bailies of Bennachie are keen to develop partnerships with others in the area who share their aims. Scottish Sculptural Workshop has led the 'Natural Bennachie' project. This exciting artistic venture has seen the collaboration of world-renowned artists focussing their energies on Bennachie. A cutting-edge act of collaboration between one of the artists and a pollen specialist from Aberdeen University has led to a new vision of cross-disciplinary working between the arts and sciences.